STP Bomb Aero is a revolutionary heavy duty low frequency car sound deadening material. It is self adhesive and aids in vibration dampening . 4.2mm thick. 6.5kg per m2. Particularly effective on car floors and around the bulk head. Professional quality multi-layer vibration damping material for cars, vans, jeeps and campervans with brand new Aero technology. It is based on a bitumen mastic, aluminum foil and self-adhesive layer. Excellent for low frequency vibrations. This material is waterproof and provides good protection against corrosion and penetration of water and oxygen when it comes in contact with the vehicle. Suitable for: cabin floor, boot floor, front wall, wheel arches (inside of the passenger compartment). 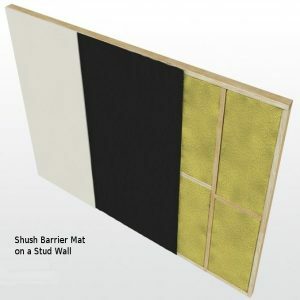 The product for soundproofing Land Rover Defenders. The material may be heated to make it softer easier application. The surface must be free from dust, oil and grease before application. The self-adhesive layer ensures a solid connection.